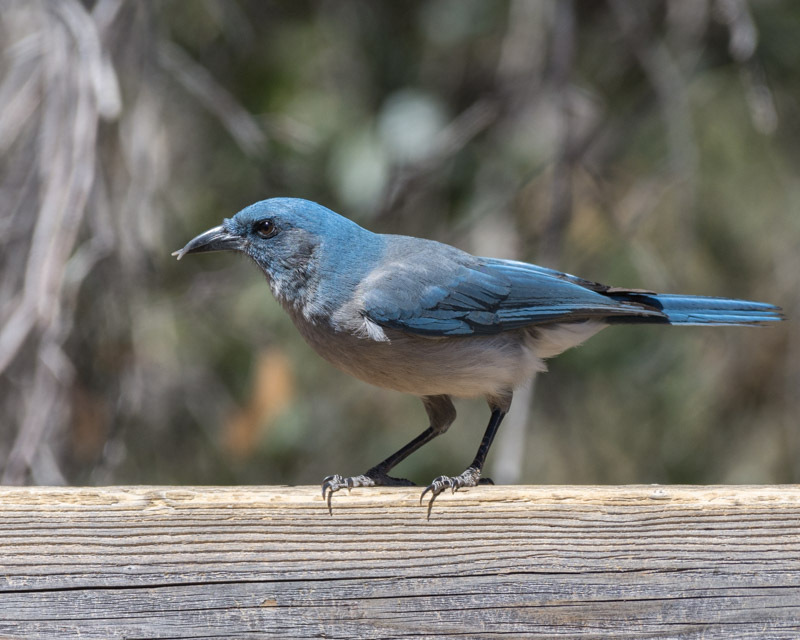 Besides seeing the Gould’s Turkeys in Madera Canyon last week, I also saw many other birds that visited the feeders at the Santa Rita Lodge. Enjoy this glimpse into the busy birding hotspot. 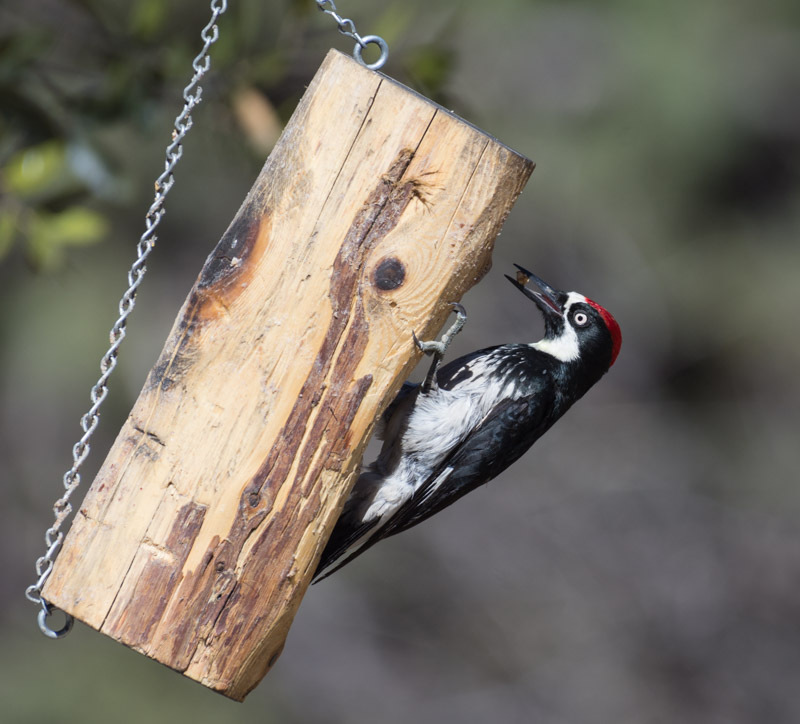 Acorn Woodpeckers are loud and ever-present in oak forests. 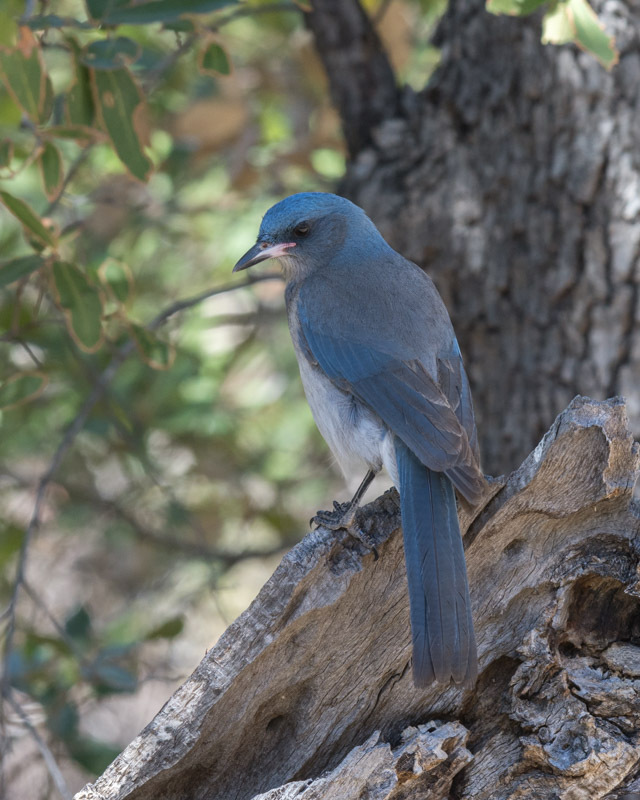 These clown-faced birds spend much of their time storing acorns (as their name implies), drilling holes in trees and just about any structure nearby. The chosen trees are called granary trees, but a telephone pole or siding of a building serve just as well. 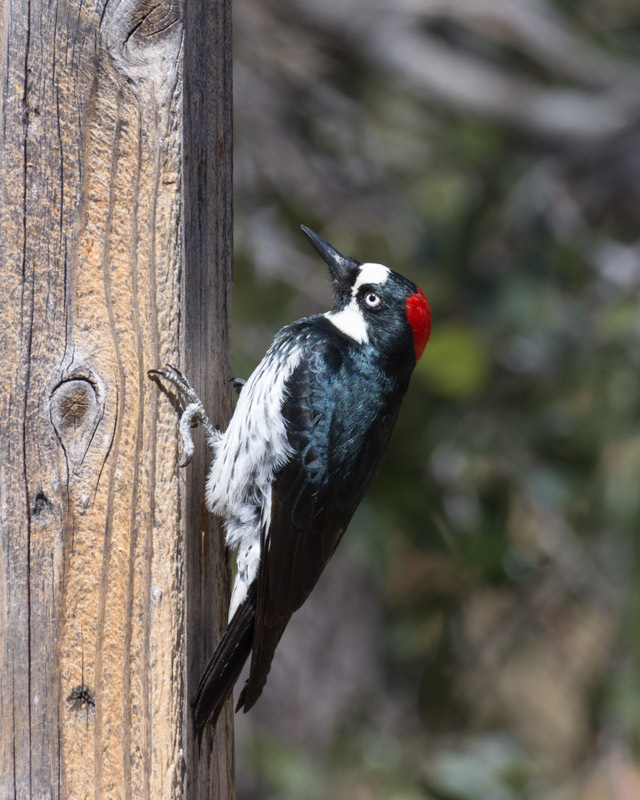 While you can distinguish the gender of many woodpeckers in Arizona by a red cap on the males, Acorn Woodpecker males and females look very similar. 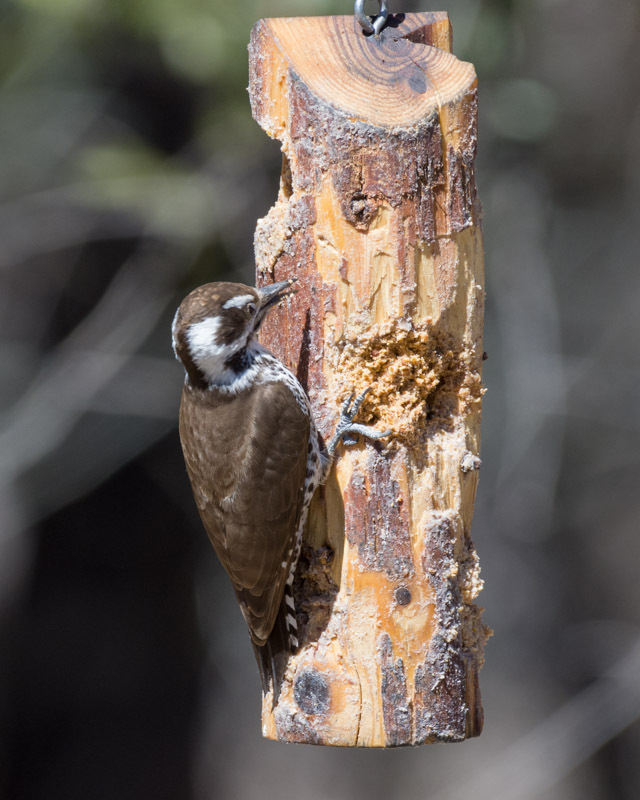 However, the female Acorn Woodpeckers have black between their red cap and their white forehead while the males (in the following photo) have the red cap touching the white forehead. A male Acorn Woodpecker with some food from taken from the feeder. Not the red cap touching the white forehead. 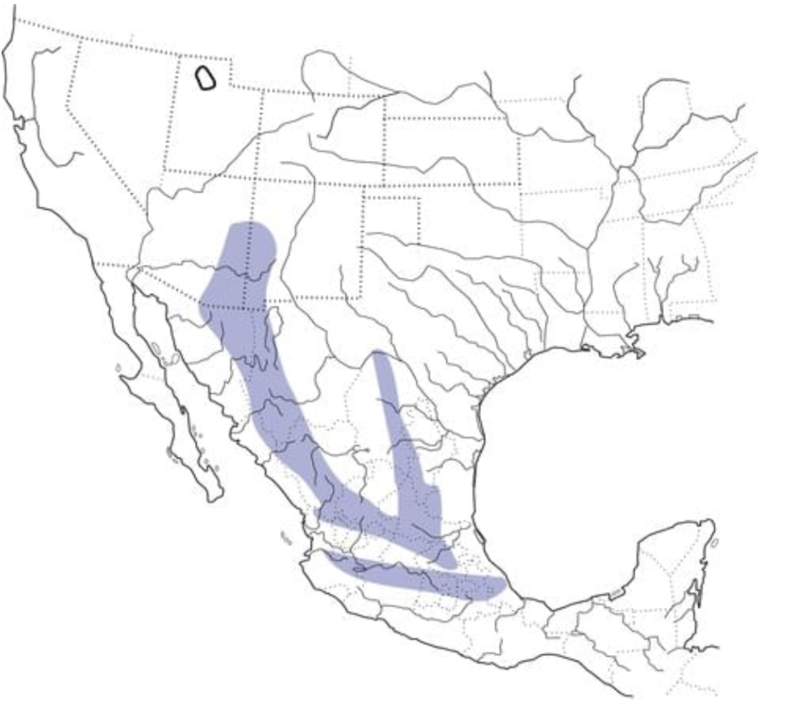 Mexican Jays are birds of the Mexican mountains and live in the oak woodlands of Arizona, New Mexico and western Texas (range map below). They live in large groups and are always talking to each other. Juvenile Mexican Jays have white or pink on their bills. It can take more than two years for the bill to turn entirely dark. Beak deformities are a serious problem for birds. This disease, called avian keratin disorder (AKD), is characterized by debilitating beak overgrowth and other abnormalities of keratinized tissues. Affected birds have difficulty feeding and preening, and may suffer high rates of mortality. 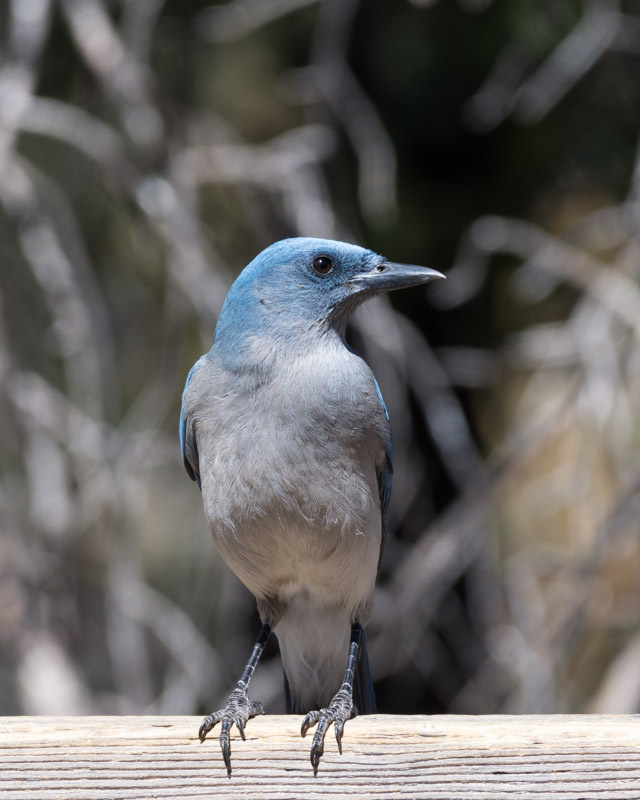 Here is one Mexican Jay with AKD at the feeders. 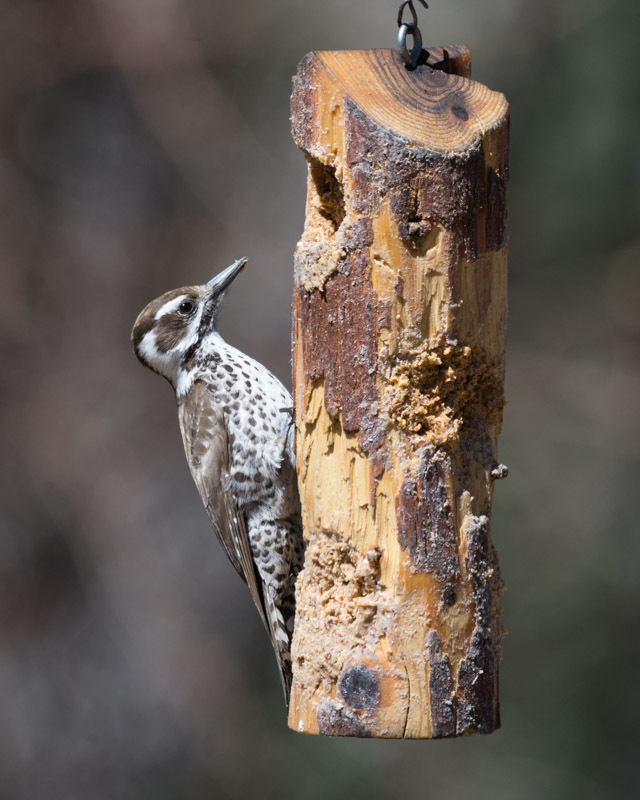 The Arizona Woodpecker is the only woodpecker in the United States with a solid brown back. The males have red on their heads and the females do not, so this bird is a female. 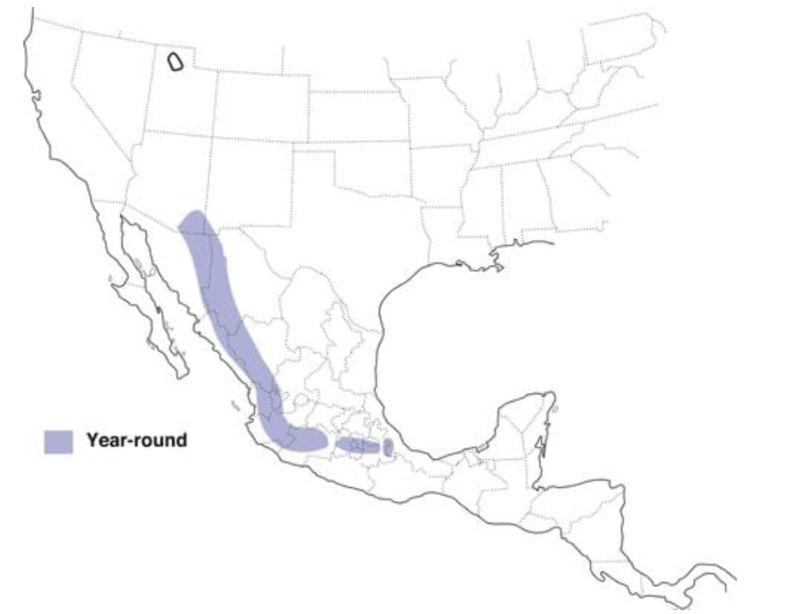 Looking at the range map below, the Arizona Woodpecker is another of the many bird species whose only United States residence is in Arizona. Think that’s how it got its name? From another angle, you can clearly see the brown back. Many people hang nyjer seed feeders at their homes to attract Lesser Goldfinches. Here, you see another bird, Pine Siskins, lined up at the same height as the seeds in the feeder. Nyjer seeds are the seeds of the African yellow daisy plant. Although people sometimes call these seeds ‘thistle’ seeds, they are not from thistle plants. Goldfinches do like to feed on thistle plants but the seeds people use for their feeders are nyjer seeds. The Pine Siskins also love these seeds. 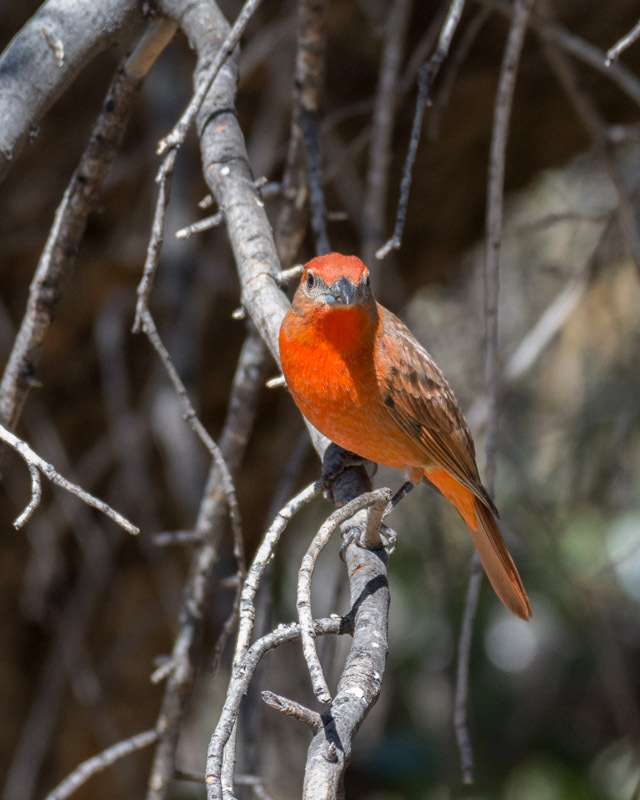 The Hepatic Tanager is another of the birds found in oak woodlands, or pine-oak forests in the southwestern states. The males are red overall, with grayish/red backs and a gray cheek patch. Females are yellowish but both males and females have a thick silver bill. The bird’s name, hepatic, refers to its brownish-red liver color. 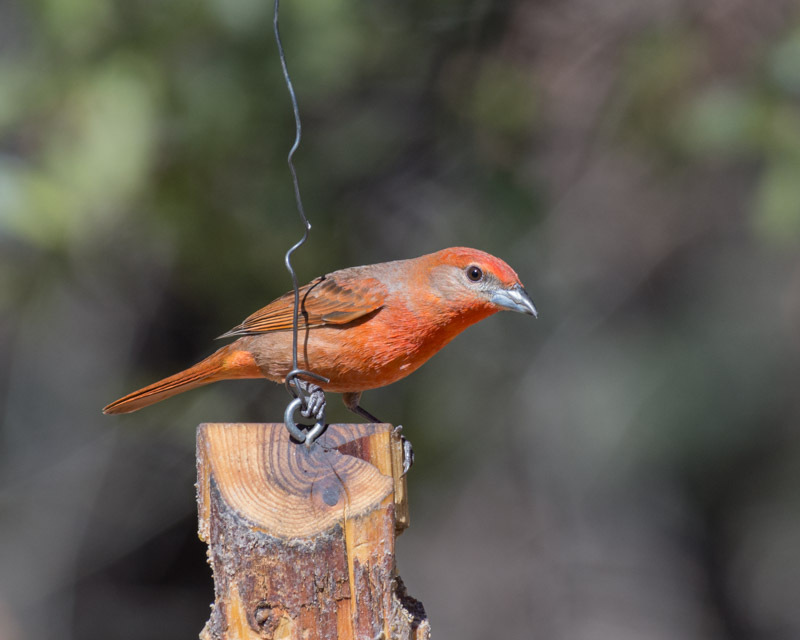 Here is the male Hepatic Tanager on a feeder. 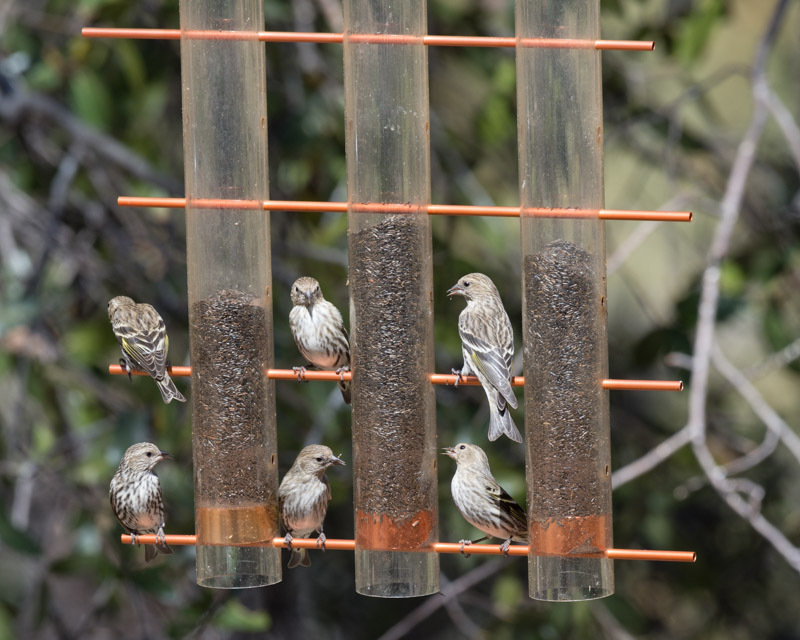 A short visit to the feeders at the Santa Rita Lodge is always a good way to spend part of your morning. I now have photos available for purchase on an Etsy site- if you do not see one of your favorites there, just ask! Thanks.